You'll be £10.39 closer to your next £10.00 credit when you purchase Tracing Your Ancestors Using the Census. What's this? The Pen & Sword guide to the census is detailed, accessible and authoritative, and it is one of the most comprehensive on the market. It has been written with the family historian in mind, and it is packed with advice on how to explore and get the most from the census records. As well as describing the modern censuses, it provides information on the less-known censuses dating from before 1841, and it covers the records of all the constituent parts of the British Isles. It is an essential introduction and tool for anyone who is researching the life and times of an ancestor. 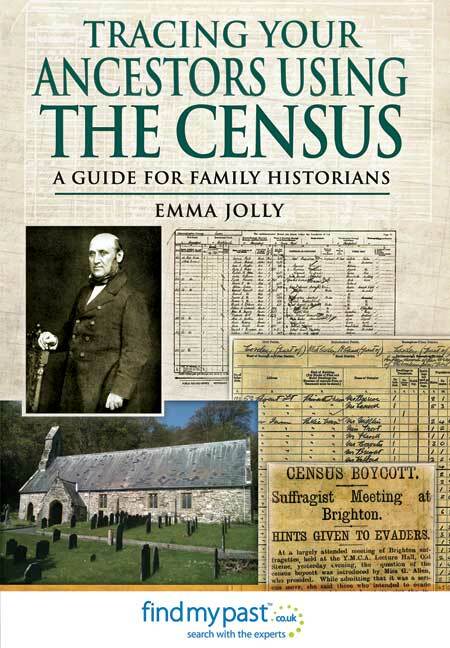 Emma Jolly describes how and why census records came to be created, then looks in detail at how to search the main censuses from 1841 to 1911. Each chapter covers the relevant historical context, compares online and other sources, identifies problems like lost or damaged records, and shows how the specific information in the census concerned can be interpreted effectively. While the censuses of England and Wales, Scotland, Ireland, the Channel Islands and the Isle of Man are all examined, the main focus is on the English and Welsh census, with differences noted for other areas. An extensive appendix and bibliography, which, for ease of access, gathers together all the key resources in one place, is also provided. Comprehensive footnotes, appendices and a detailed bibliography make this a useful reference work as well as a good read. Between the covers of this 200 page paperback is everything you wanted to know about using the census for researching family history. A really comprehensive guide, well written and useful both for the beginner and the more experienced researcher. A very useful addition to this excellent series. This is a useful and well written guide to UK censuses from their origins in the late 18th century to the present day. This is a guide that should be on the shelves of any serious family historian. BBC Who Do You Think You Are? Emma Jolly, a professional genealogist and experienced writer on the subject, has produced a comprehensive guide. The opening chapter details the 'History of the Census' and also contains a list of genealogy websites and what census records they hold; an invaluable resource for family historians. Each subsequent chapter guides the reader from the 'First Modern Census' in 1841 through every decade to the 1911 Census. This produces an easy-to-navigate handbook with clear information on each resource. The detailed appendices include a list of census records online along with useful and online resources to access them, a list of archives and a short glossary of terms found in censuses. A valuable resource for any family historian. An accessible guide to getting started. Useful and well-written guide to UK censuses from their origins to the present day. There are some very positive things to be said about the volume. It is perhaps unique in attempting to bring together information on the censuses in the different parts of the UK before the First World War. Interesting illustrations and useful appendices. This is a guide that should be on the shelves of any serious family historian. Jolly's book is an accessible guide to getting started. This provides an easy-to-navigate handbook with clear information on each resource including: the historical context, finding aids, online and free resources, identifying problems, of the census, how to use the census effectively and how researchers can take it further. A valuable resource for any family historian. 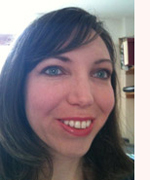 Emma Jolly is a well-known genealogist and writer, specializing in London and the British Empire. She is the author of Tracing Your British Indian Ancestors and Family History for Kids. She also contributes to history publications including Discover My Past, Family Tree magazine, Your Family Tree, Genealogists' Magazine, Your Family History and the Journal of FIBIS (the Families in British India Society).